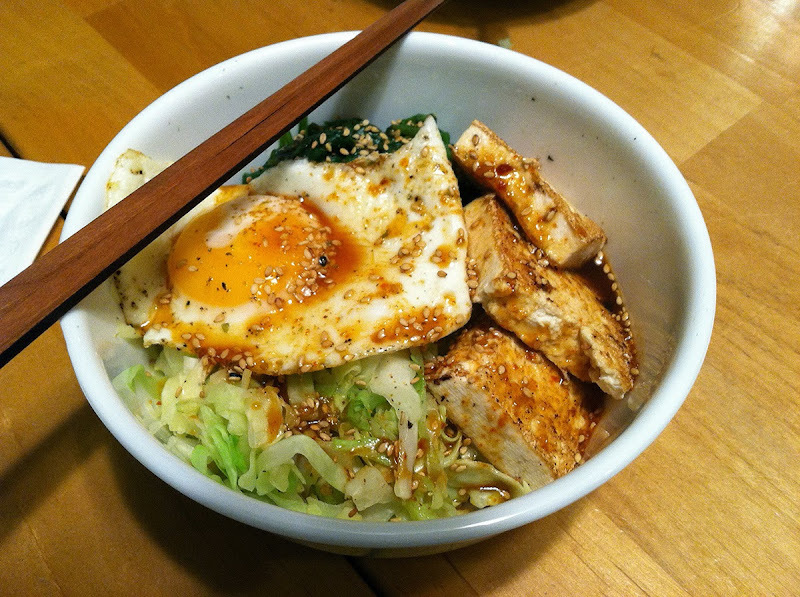 This sauce has become a staple for weeknight rice bowls, so I thought I'd share the recipe. I don't know how "authentic" it is, for anyone who might want to harass me about that. I just know it's quick, easy and good. I halve the amount of Gochujang if the kid is eating it. Then put some finished sauce in a separate bowl for her, and add the rest of the Gochujang into the remaining sauce for us. First appeared on The Cooking Channel then in Shape Magazine. Wisk all of the below ingredients together. Will keep in fridge for up to a week. I typically make the rice bowls with short grain rice but a couple of weeks ago started using this "special" short grain rice cooked in dashi. Rice bowls include any of the following, depending on what's in the fridge: sauteed spinach and/or kale, sauteed cabbage, pickled vegetables, shredded carrot, zucchini, sauteed shitakes, green onions, seared tofu, grilled pork, leftover steak, bean sprouts, sesame seeds, the Japanese pepper shaker that contains the seaweed flakes, this sauce, and a fried egg. This bowl was from earlier this week. Sauce served at the table for everyone to put however much they want in theirs.